CYNKPOL SP. Z O.O. was founded in 2001. Our company is a significant producer of SECONDARY ZINC in Poland. The zinc is produced due to a special technology in which the scrap metal is melted down in the furnace and then founded into the form of zinc slabs. Zinc is cast in form of plates ca. 30 kg each, dimensions 440 x 220 x 35 mm. Zinc plates are formed into ca. 1,2 ton selfpaletised stack. The recovered zinc is used to produce refined zinc, refined lead, zinc white, in hot dip zinc coating and also in chemical industry. We are also looking for sources of zinc scrap: old roofing sheets and gutters, zinc ashes from hot dip zinc coating. 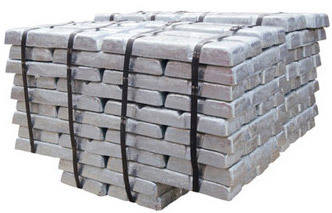 We hold all necessary permits for storing, transport and processing of zinc scrap. We are deeply aware that purchasing and processing of zinc scrap has a positive impact on the environment in our large agglomeration. It would be our great honour and pleasure to serve you. We would like to offer you the SECONDARY ZINC SLABS. The zinc is produced due to a special technology in which the scrap metal is melted down in the furnace and then founded into the form of zinc slabs. Zinc is cast in form of plates ca. 30 kg each, dimensions 440 x 220 x 35 mm. Zinc plates are formed into ca. 1,2 ton selfpaletised stack. We will enclose analysis to delivery. Price is based on zinc quotations of the London Metal Exchange. We hope that you will find our offer attractive and we are looking forward to your reply.